Almost all the respondents to our latest survey have virtualized some or all of their servers, and consider backup a piece of cake. What other VM backup myths did they debunk? 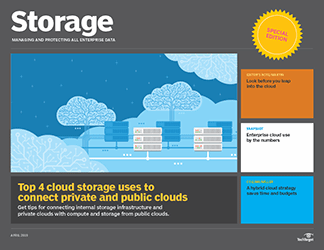 A few years ago, most of the grumbling you heard from storage shops was related -- one way or another -- to backing up virtual servers. Not anymore. 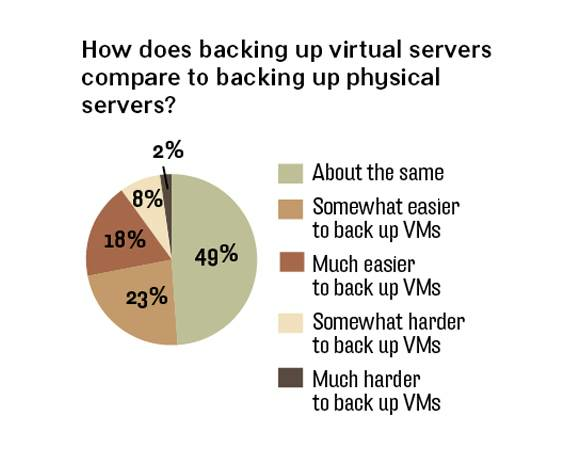 Almost all (92%) of our survey respondents have virtualized all or some of their servers, and backup is a piece of cake. 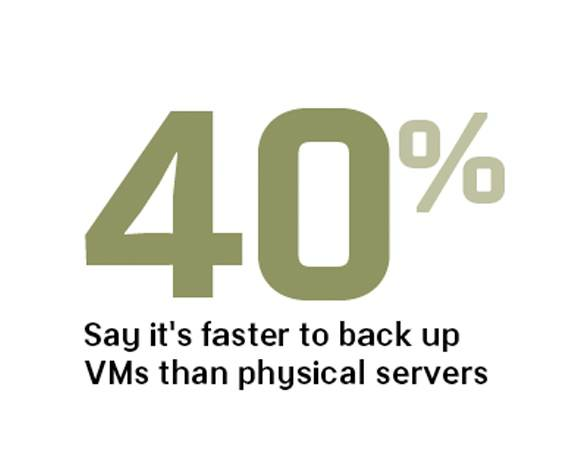 Forty-one percent said backing up virtual machines (VMs) is somewhat or much easier than backing up physical servers, while 49% said it takes about the same amount of effort. Only 10% said it was somewhat/much harder. That wasn’t the only myth our survey group debunked. VM backup requires more disk or tape space, right? Not so fast: 30% said it needs less. And it takes longer to back up all those VMs? That was true for 18%, but 40% said it’s faster. And while it used to be a chore to restore a single file from a VM backup, 24% now said it’s easier than with a physical server and 60% said it’s not any tougher or easier. 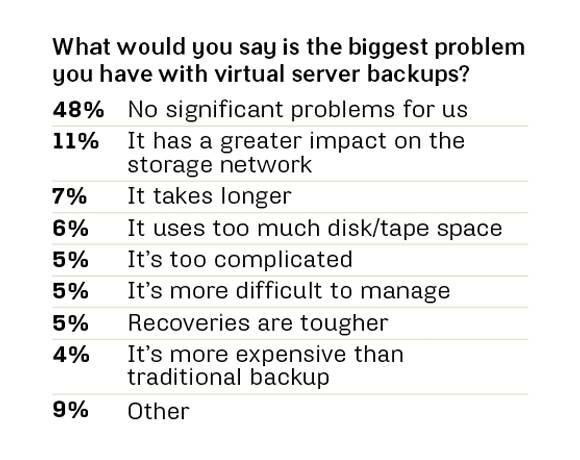 When asked what their biggest gripe about VM backup was, 48% said they’re not having any significant problems. So are they all using some new wonder VM backup app? 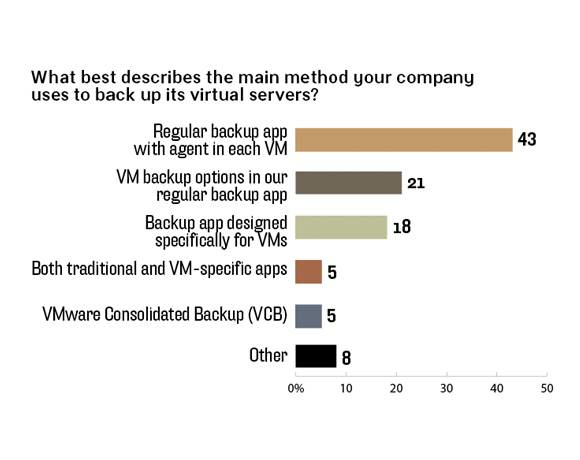 Not really; 43% still use traditional backup apps with agents in each VM. Not that slick, but it seems to be working.